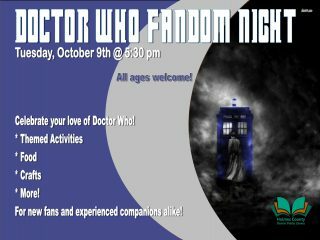 Take an adventure through space and time and celebrate your love of Doctor Who with themed activities, food, crafts, and more! For new fans and experienced companions alike! All ages are welcome!